Recently I was judging a show and someone questioned my comments concerning “substance and bone.” The question was, “Why do we want increased bone size in Texas Longhorn cattle? You can’t eat the bone!” This is a valid question and obviously very sincere. The next time you go to a horse race, carefully observe the anatomy of a jockey. These folks try to keep their weight around 100 pounds, and carefully notice the size of their ankles. Notice the size of their wrists. The average jockey’s ankle may not be much larger than a silver dollar. The next time you are watching a World Wrestling Federation telecast, notice the size of the ankles on the wrestlers. Some of these guys have thighs nearly as big as a sewer lid. Hulk Hogan has bone and he has substance. Go to a draft horse pull or an oxen pulling contest. Look at the size of the feet, the bone and the substance of hocks on these professional pulling animals. You will not find anything of a “jockey” nature. Many people call fine boned animals “bird legged,” similar to a chesty bodied bird with tiny legs. With substance and bone, come some very good things. . . the longevity of soundness is one. The ability to lay on thick layers of meat is another. The chicken industry has identified strains of chickens with very large bone and with that, they have developed some gainability factors of the fastest growing efficient fowl in the world. They have developed bone and substance and found it very profitable. 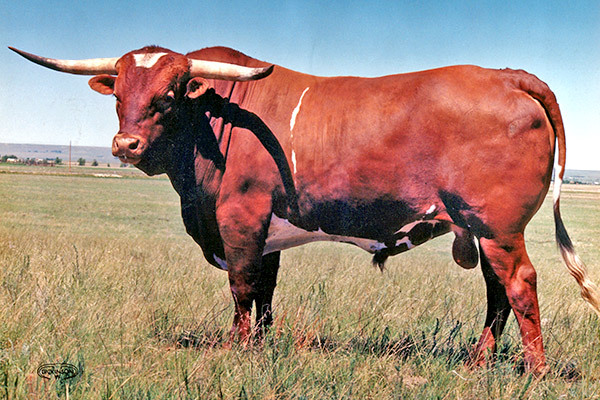 There was an old bull in the Longhorn industry about twenty years ago that was well thought of. His owner asked me to evaluate the herd and as I looked closely at this bull, I realized his hocks were very unsound. I asked if the bull was getting all of his cows bred and sure enough, he was not. The bull had very fine bone and yet he was a big heavy bull. As a big bull mounts his cows, it is important to have the strength to thrust and complete his task. When a bull is fine boned and heavy bodied, something has to wear. This grand old bull became more and more unsound. Although he was completely fertile, his inability to complete his task caused him to end up in the fast food market. 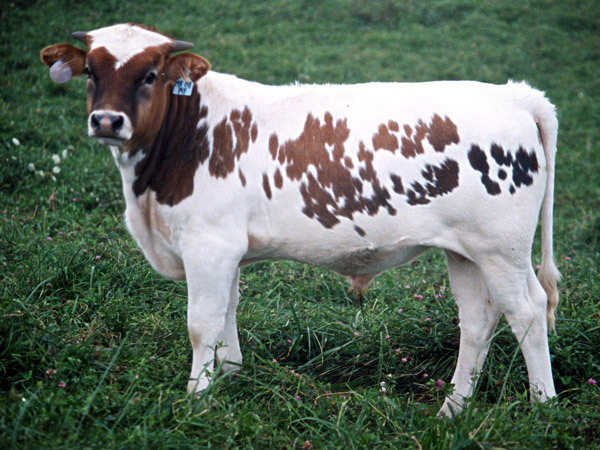 Herd sires with good bone and substance will remain sound and have more longevity to utilize their genetics than the finer bone animals. This is not as serious with a cow as it is with the bull. A cow does not have to perform the duties that a herd sire does. 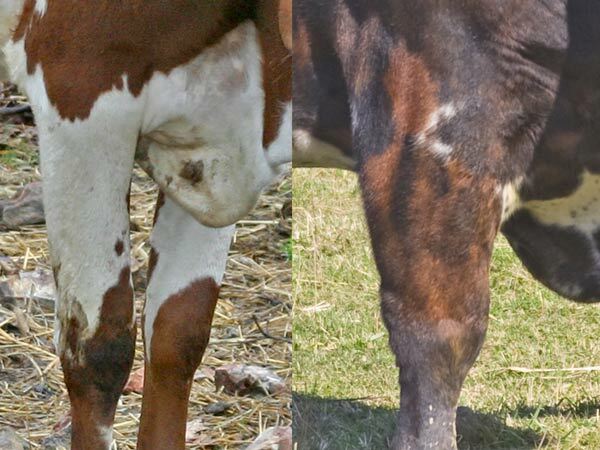 However, a very fine boned cow could prevent herself from being the dam of a great herd sire because she transmitted the “bird legged” factor on to her sons. 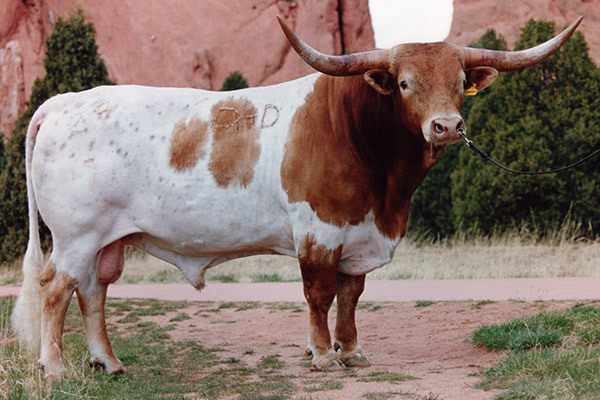 It is important in the Texas Longhorn industry to continue to watch for genetics that produce more bone and substance.